Too often, secure communications are only available within a single enterprise, or through standalone services for texting or email. 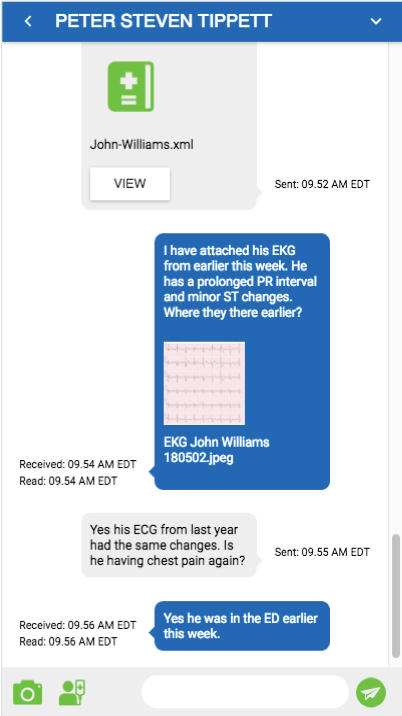 careMESH brings the best of secure email, texting, and health information exchange into one convenient solution. Gone are the days of siloed products. careMESH is a complete solution for your desktop or mobile device, with the ability to send large files, view patient medical records, and more! Learn how careMESH helps you meet the CMS 2019 Meaningful Use Programs.